While browsing Cosme a couple of weeks ago though, I saw that they'd already released their Best Cosmetics Award List for 2012. To my surprise, one of the products that was on the list was something I already had in my kit: the Majolica Majorca Blood On Lip and Cheek Tint. It was then that I remembered that I've been meaning to review it for the longest time but never got around to taking photos, so it's been sleeping in my drafts for quite some time now. Here it is, finally! I purchased this around two or three months ago I think. As I was looking at the MajoMajo eyeshadow quads (like I always do), I picked this up and decided to buy it on a whim. One thing I love most about MajoMajo products: the gorgeous packaging. Look at the cute card-inspired design on the lid! Look at that amazing blood-red color! On my lips and cheeks. 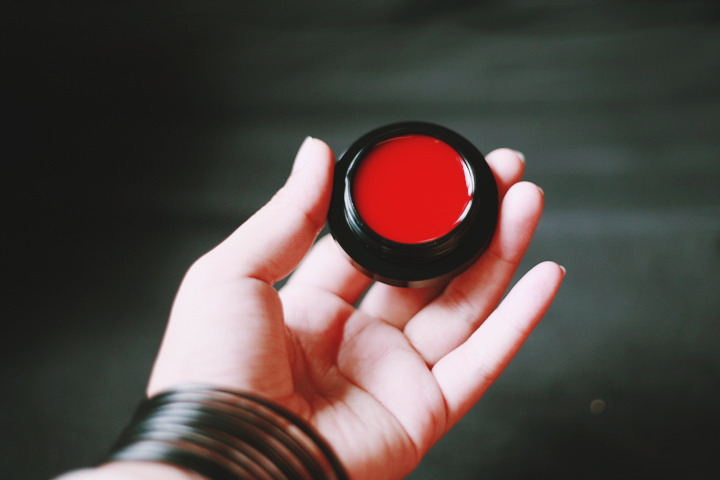 The Blood On is a sheer, tinted balm that goes on like a sticky, translucent red tint. Very much like a tinted lip balm, yes. When I first used it, I was pretty weirded out by the texture. After the third or fourth use, however, I've become pretty used to it. ♡ The color is perfect for everyday! It's especially nice if you're going for a natural, flushed look. 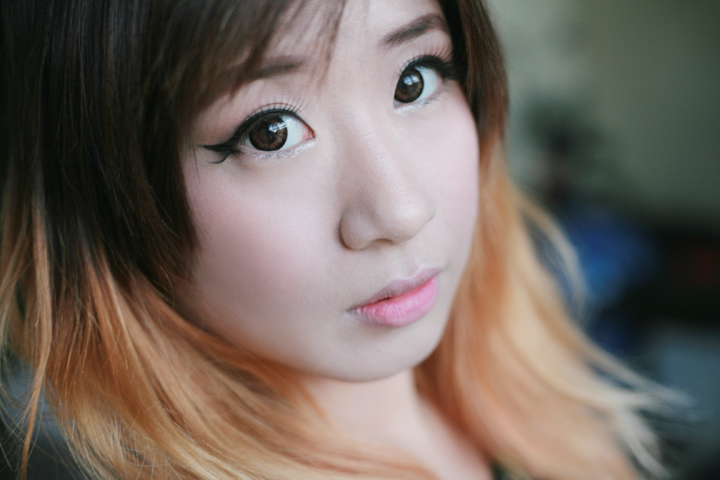 ♡ Because it's a sheer red with no undertones, it's flattering on any skintone. 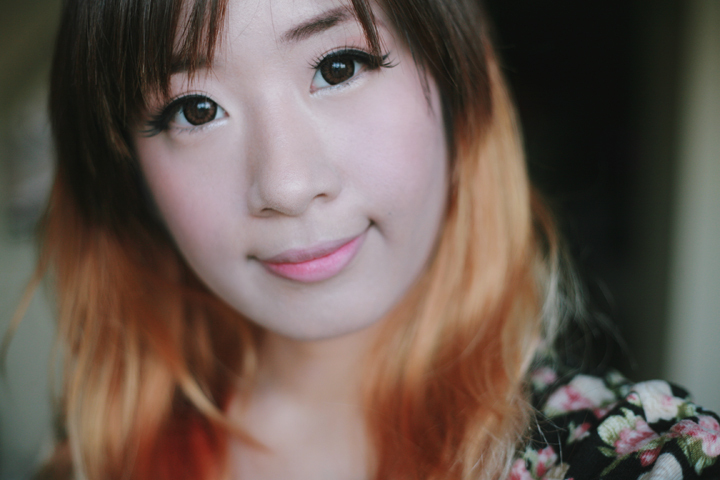 ♡ Though the balm aspect of this tint is weird at first, you'll find that this is especially easy to blend in. What I do is I swirl my ring and middle finger around the pot and pat all over the apples of my cheeks, and I'm done! 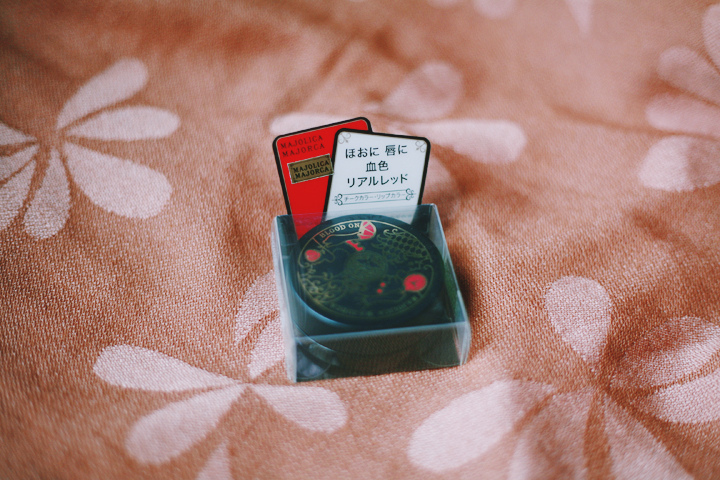 ♡ The packaging is super cute. It's also quite convenient since you don't need any brushes, and the pot is compact and light. You can bring it everywhere with you, and you can feel good about taking it out of your bag because it's just so pretty. ✗ Because this is blended using just the fingers, there's a tendency for some of my base make to come off in the process. Sometimes I have to keep reapplying concealer on certain parts afterwards. ✗ I like it as a cheek stain, but it doesn't do much for my lips. Not very moisturizing, and the color isn't as visible. ✗ It's not as long lasting in Philippine weather. So if you're planning to be out and about the whole day, you might have to keep reapplying every two or three hours. ✗ Honestly? The price. For someone who doesn't consider blush as a top priority when it comes to makeup, it's a bit of an issue. I could think of a number of different things I could get for P495 or less: a new tube of lipstick, concealer.. or I could just save it for later. It's all a matter of priorities, I think. Though it would be lovely to have, you can live without it. ♡ Love, love, love. The issue about it being pricey (which is, really, just me being stingy!) aside, this is my number one cheek stain at the moment. I've only tried ever three though, so don't take my word for it! Instead, take the word of the over 900,000 people on Cosme: it was ranked 3rd Best in the Cheeks category on Cosme for 2012, after all! 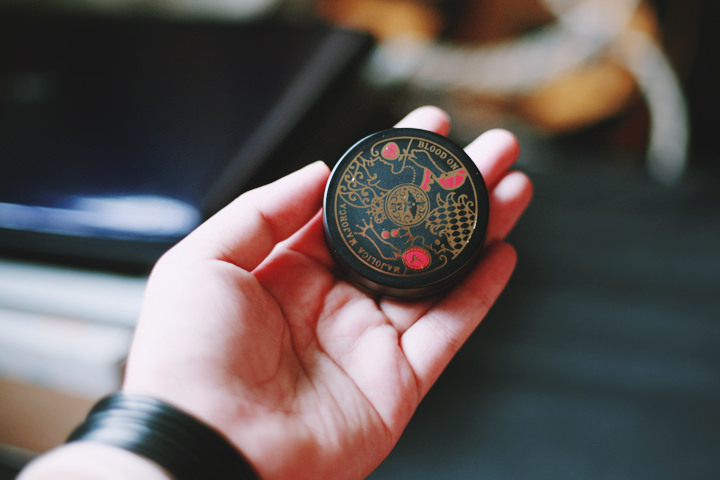 ♡ If you're into Japanese cosmetics or cute little makeup-accessories, yes! Though I know there are a lot of cheaper alternatives for lip and cheek stains, I think for the quality this is highly recommended. And since it's from a trusted brand known for premium-quality products, you'll be getting great value for your money.